But this morning was clear and thankfully dry for our departure. 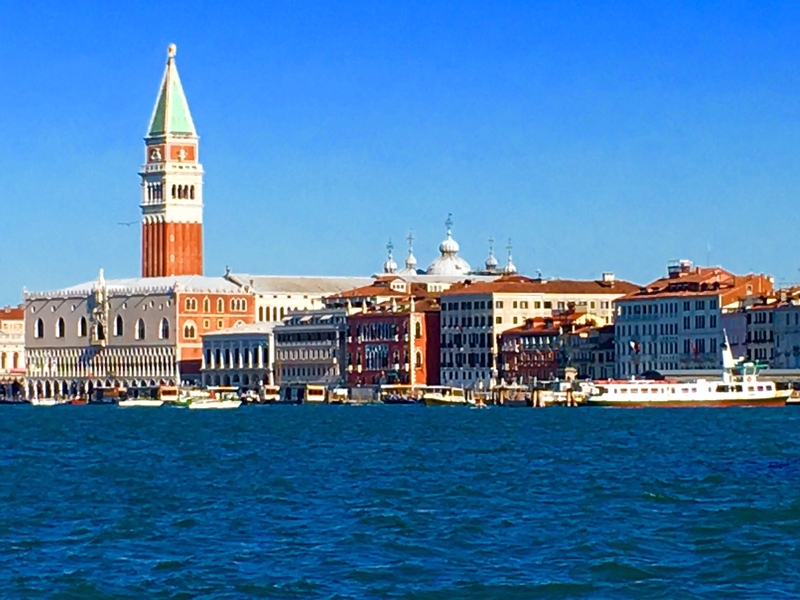 Venice Italy. 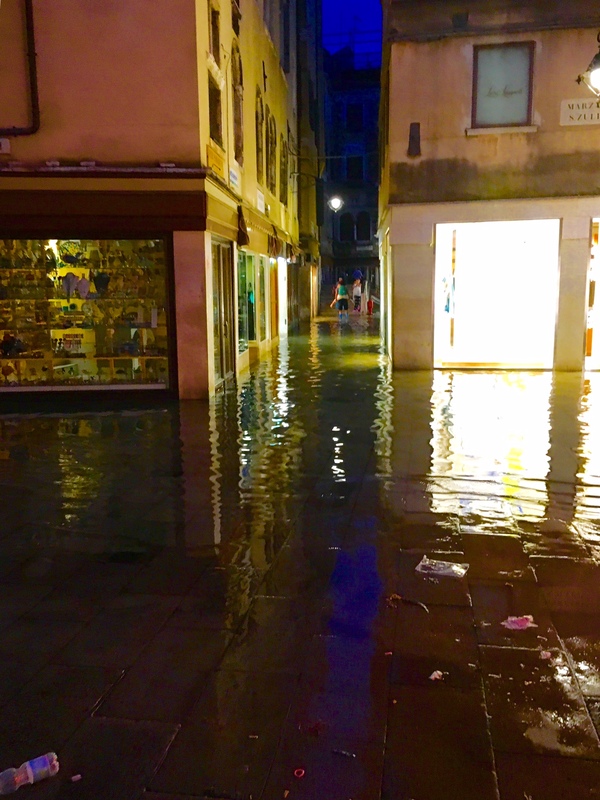 Our last night in Venice had the added excitement of a tidal flood. Here about 9 inches of water pouring through the streets. 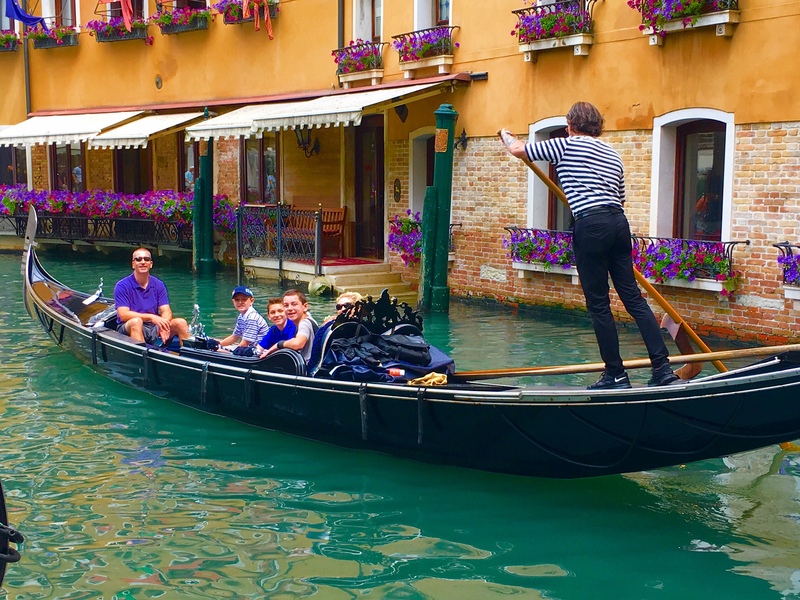 Venice Italy. 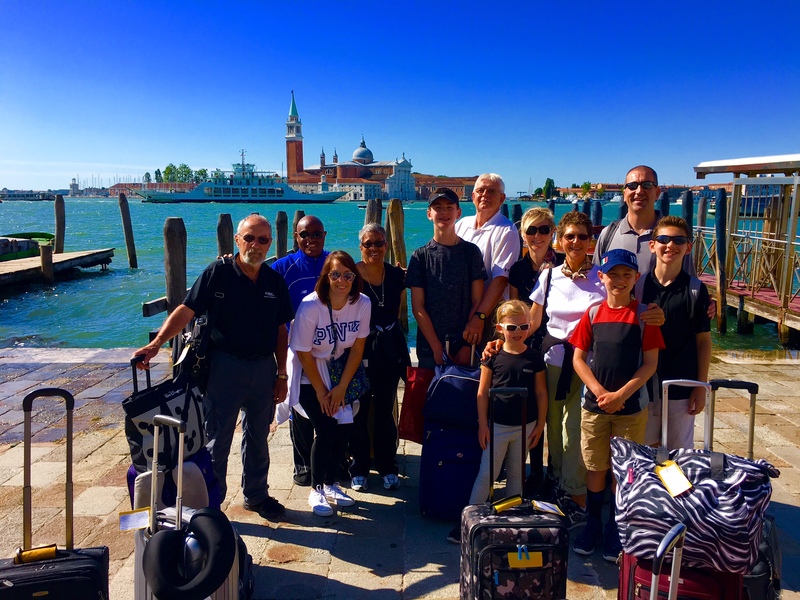 After a great trip with a wonderful group, it’s goodbye to Venice, goodbye to Italy. Tomorrow, back to the States. 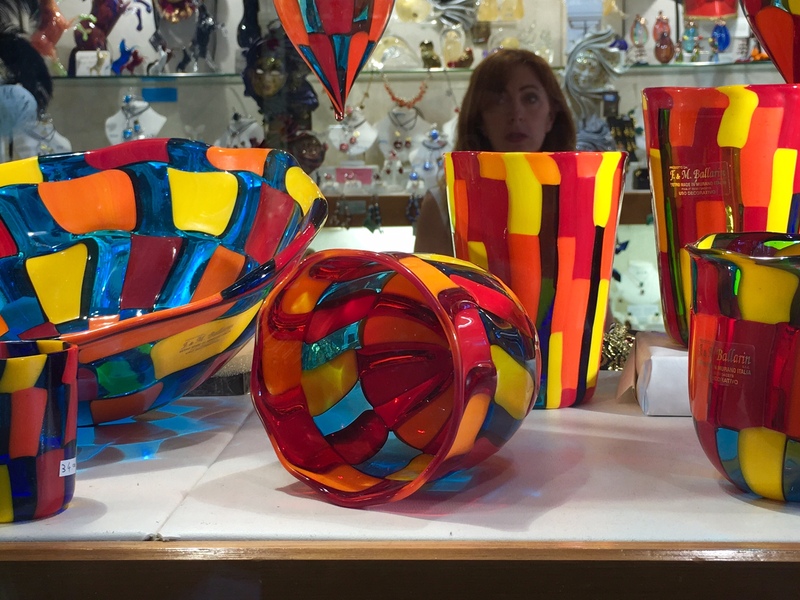 World famous Murano glass. Venice Italy. 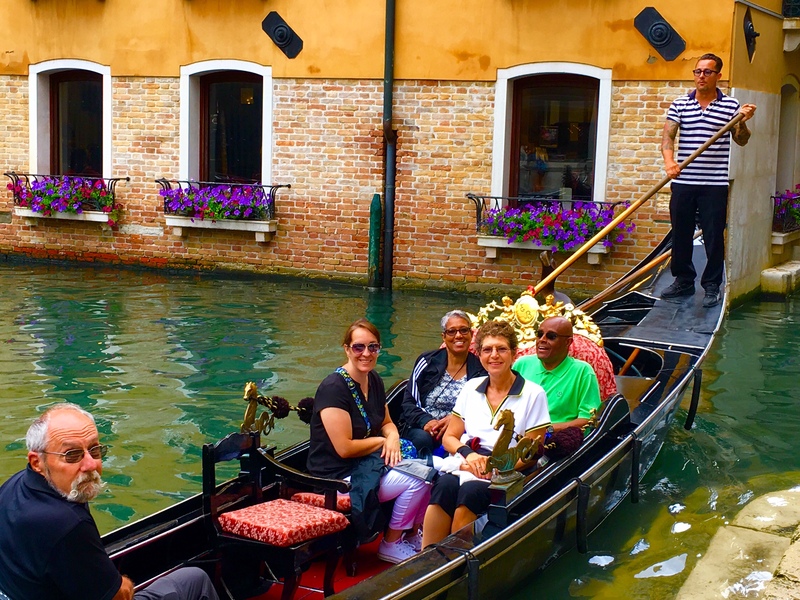 Bernadette, Jim, Nancy, Kim and Tony leave for their gondola ride. Venice Italy. 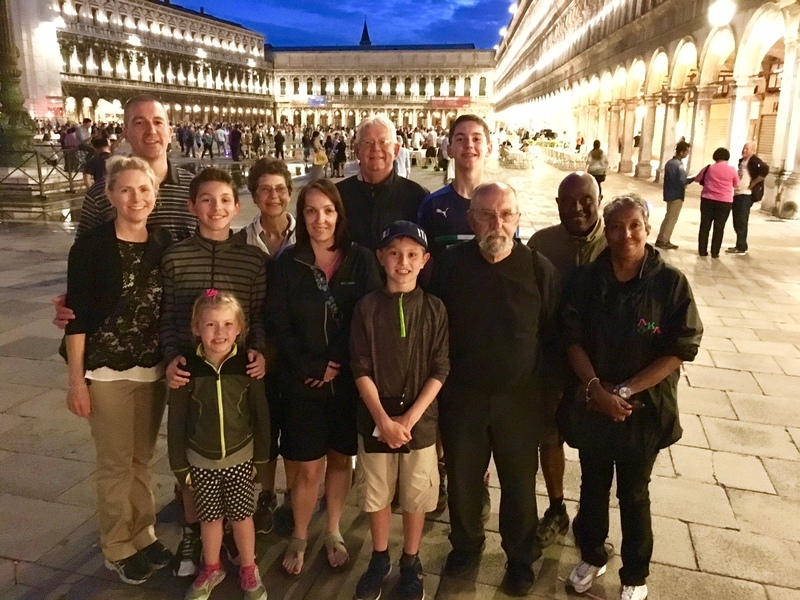 The Sanders Family take off on a gondola ride. Venice, Italy. 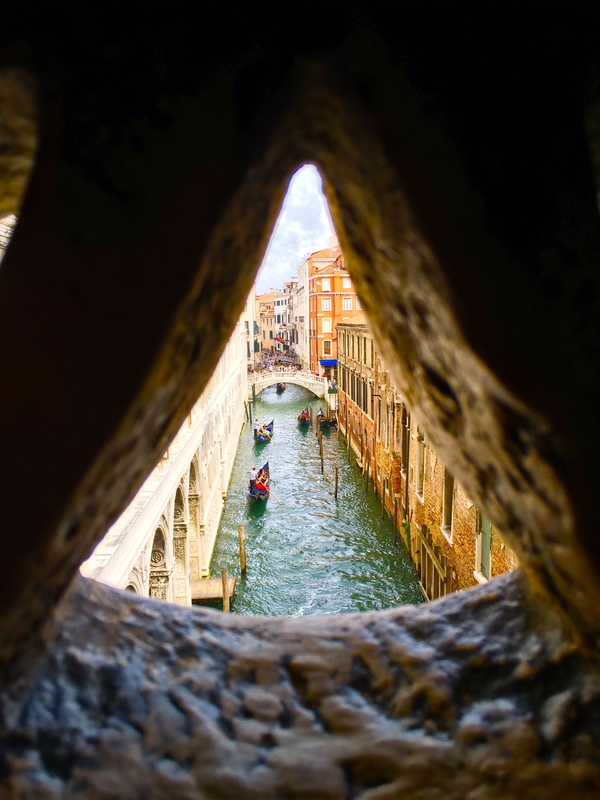 Last view of freedom from the Bridge of Sighs. Venice, Italy. 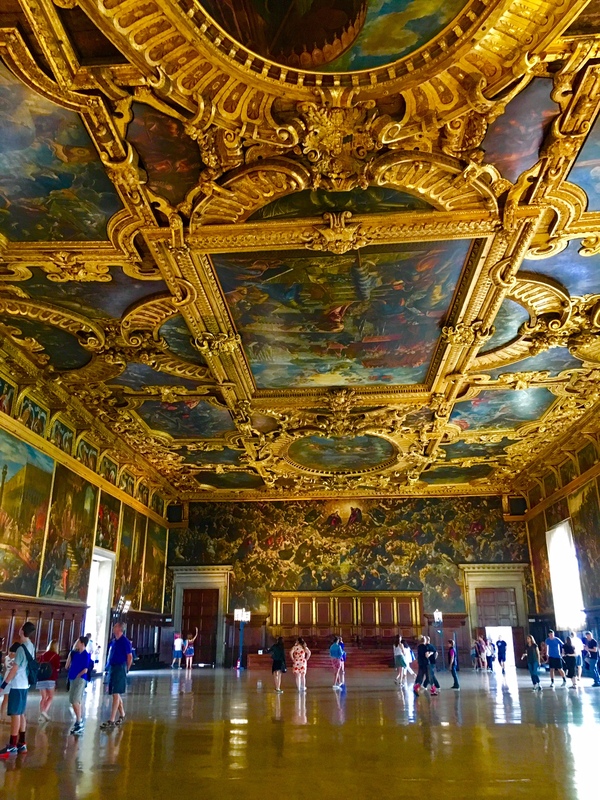 The Grand Hall inside the Doges Palace. Venice, Italy. 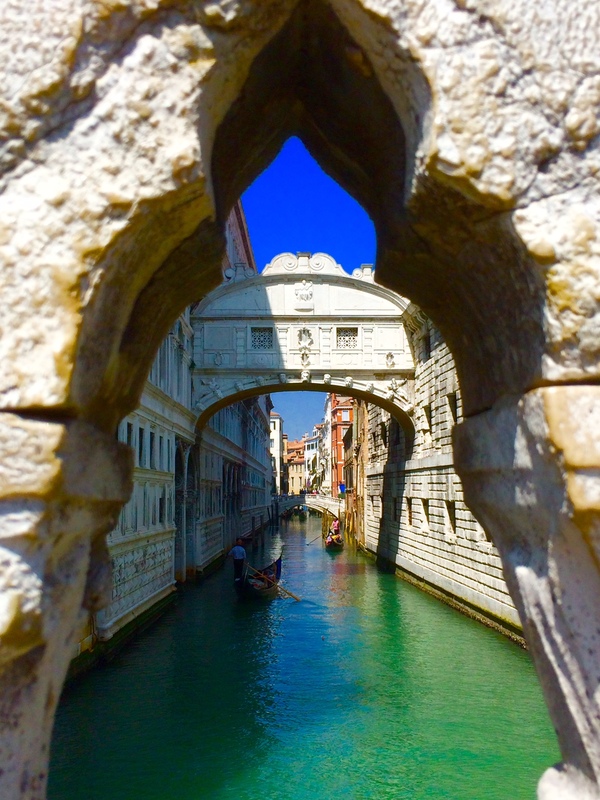 The Bridge of Sighs connecting the courtroom with the prisons. Venice, Italy.